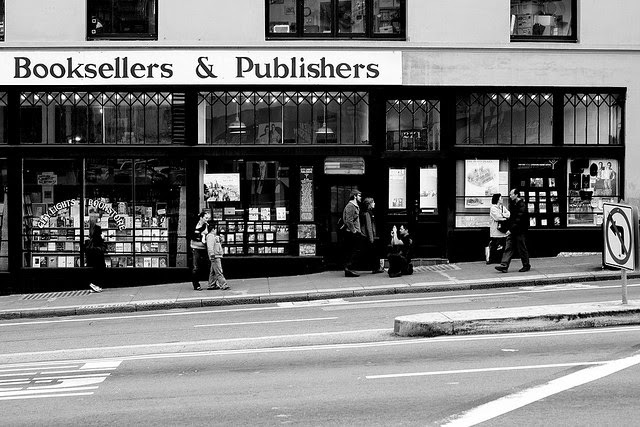 Selling Books Online is What Publishers Do Best (Writers Write Best). I was looking over my "series of unfortunate events" post - which laid out how I got financially free once I started publishing books for a living. The weird point I noticed was that I didn't take 5 years at a book-a-year rate in order to make that happen. It was just around 18 months or so. I didn't try to write all the books. I also didn't mess with trying all the "conventional wisdom" of "building a platform" on social media - or anything else conventional. Factually, the only marketing I did was to make sure the books had decent covers and descriptions. Otherwise, I left the marketing to the distributors, which was primarily their own on-site algorithms. That tested well, since people could find my books by author and series. One advantage I had was that most of the public domain books have lousy covers and descriptions. The other point was price. All of these books were priced at .99 - so it's above free, but obviously better quality than the free ones (judging the book by its cover) but was still an affordable purchase. After that, it was a numbers game. Over a hundred books on 5 distributors, giving me about 35% royalties - all that was needed to cover my publishing bills (internet connection, basically) was for each of these books to sell once per month, on average. Once I got a bestseller going, it pulled along the other books in that series (or by the same author) and I was then able to cover all my bills. A few sold a handful during the year. A small handful sold regularly - one or two a month, never the same on any two distributors. The smallest handful (about 5 titles) sold well - a dozen or more a month on all distributors. One title became a bestseller on all distributors. Why write when you can publish? I'd realized that my income was coming from publishing instead of writing and so devoted more time to the former and devoted the latter to my blogging. Get a set of books on the same subject. Publish them as part of a series. People will find them and buy related books in that series. That's the essential tipping point to publishing. Good quality books, with presentable covers and descriptions tend to sell well on their own. But they sell better in a series. And that explains why self-publishing authors can start earning income after 5 books - and if it takes a year to write and publish a book, then there you go. All these books were published as some sort of series, even if they didn't sell. That I had a hundred books grouped by series then just sped the process. If my memory serves, because Amanda Hocking released several books a year, it made her rise meteoric by comparison. Again, it's not when you started writing - your income increase starts from the moment you start publishing. It took both J. K. Rowling and Stephen King years to get their first book even published. Self-publishing tends to speed up the process. The more books you have published in the shortest period of time will determine how fast you become able to live off your writing alone. Since I edit public domain books as a series - and publish all at once - this then gets near-immediate sales which then increase with time. Recently, I published a dozen books on copywriting as a series, which took me a couple of months to edit into shape - but then started having sales the same week. Instant series - instant sales. No marketing, no book launch, no ads or promotion. The next step is to start marketing - really. You'd think marketing was a no-brainer. The problem I've been having is that there are so many very good public domain books out there which answer very old questions. Research in any field will wind up with "unsolved" problems and questions - but a little more study will find that someone half a century or a century ago actually did figure it out. But people can't easily find those books today. Since marketing is really finding what problems people want to solve, then telling them where to find (and buy) the solution - it makes the whole idea of making a living from publishing public domain books a no-brainer. My curse up to this point has been that it is much easier to edit and publish books than it has been to market them. It's much more satisfying to find solutions to problems than it is to convince people that this solution is the one they are looking for. But I've begun to run out of problems that need solving, and the solutions I've found for marketing (which leverage sales into new heights) have begun to need testing, so marketing tests are next up. In fact, that's what I'm in the middle of as I take time to write this - but this burning question (of why it was such a short period to get financial freedom) needed answering, so you now have a blog post which does just that. The moral to this story - publish now, publish often. The faster you can get books published (yours or someone else's) the faster you'll be able to earn a living publishing. The bottom line, if you haven't guessed, is that publishing earns income. Writing by itself does nothing until you send it to a distributor who can get it in front of as many people as possible. Want to an have independent income? Want to write for your living? If you want to keep up with these articles - subscribe by email or RSS feed. Fill out the email form above or click on the RSS icon.